Home / Customised articles / Where are the tigers? Fewer than 4,000 wild tigers survive worldwide, largely due to persistent poaching for their body parts to feed demand in China and South-East Asia. Meanwhile, more than 7,000 tigers are kept in captivity in facilities in China, South-East Asia and South Africa. The vast majority of these facilities provide no benefit whatsoever to wild tigers: no tiger bred in these facilities has ever been released to the wild. The absence of coordinated breeding to maintain genetic diversity and the conditions in which the tigers are reared, including extensive human interaction and keeping many tigers together in unnatural ‘herds’ at some facilities, render the animals unsuitable for release in to the wild. 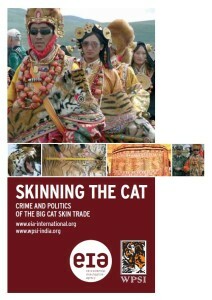 Far from protecting the species, many facilities in these countries have been implicated in illegal trade in tigers and their parts and derivatives, feeding an insatiable demand that is driving poaching not just of the world’s few remaining wild tigers but also other big cat species such as leopards, lions and jaguars, the parts and derivatives of which may be marketed to consumers as tiger. Moreover, consumer surveys in China have consistently indicated a preference for wild tiger bone over bone from captive sources. Trade from captive facilities cannot satiate demand for tiger parts and instead serves to stimulate demand and complicate law enforcement efforts, with consequences for all big cats. The interactive map below provides a snapshot of facilities where tigers are kept in China, Vietnam, Laos, Thailand and South Africa – key countries that have been implicated in legal and illegal tiger trade in parts and derivatives of captive-bred tigers. Facilities that have been implicated in trade and/or stockpiling tiger parts are indicated with a red marker on the map. Not all facilities on the map have been implicated in trade; these are included to demonstrate the scale of the captive tiger problem. As the July 2018 raid on a Czech Republic tiger trade network linked to a circus tiger and lion breeder reveals, any captive tiger facility could be hiding a more sinister business. Help us make sure these maps are as accurate as possible – do you know of facilities that keep tigers and are involved in trade in their parts and derivatives? You can also help by avoiding visiting any captive tiger facilities where members of the public are allowed to pet, pose with or play with the tigers, including cubs. It’s a clear sign the operation has nothing to do with conservation and may even be a cover for illegal trade operations. This map was last updated in July 2018. Wild tigers are now functionally extinct in Vietnam and Laos, and on the brink of extinction in China. Only about 220 wild tigers survive in Thailand. While tigers are not native to South Africa, an unknown number of tigers (but at least 280) are kept in at least 56 facilities in the country, plus there are additional individuals who are keeping tigers in their backyards. South Africa exported 27 captive-bred tiger specimens for commercial purposes between 2006-15 and has been named as a source for tiger parts seized from illegal trade in China. The substantial volumes of lion bone, teeth and claws exported from South Africa also present opportunities for laundering of tiger products, which are very difficult to distinguish from lion. The black markers on the map represent incidents in which law enforcement agencies have seized live tigers or tiger parts and products from illegal trade that are suspected to derive from captive sources. Based on our records, at least 136 such incidents have occurred since 2000, involving more than 580 individual tigers. 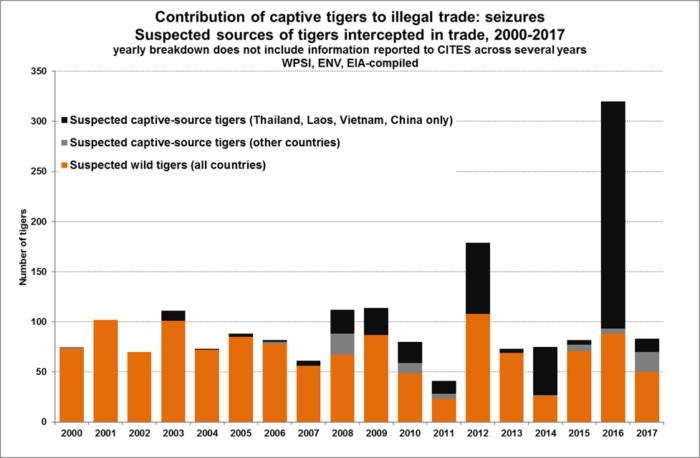 This figure very likely represents the tip of the iceberg in terms of the scale of illegal tiger trade through and from captive facilities. The captive tiger breeding industry has ballooned thanks to government support and lax enforcement. 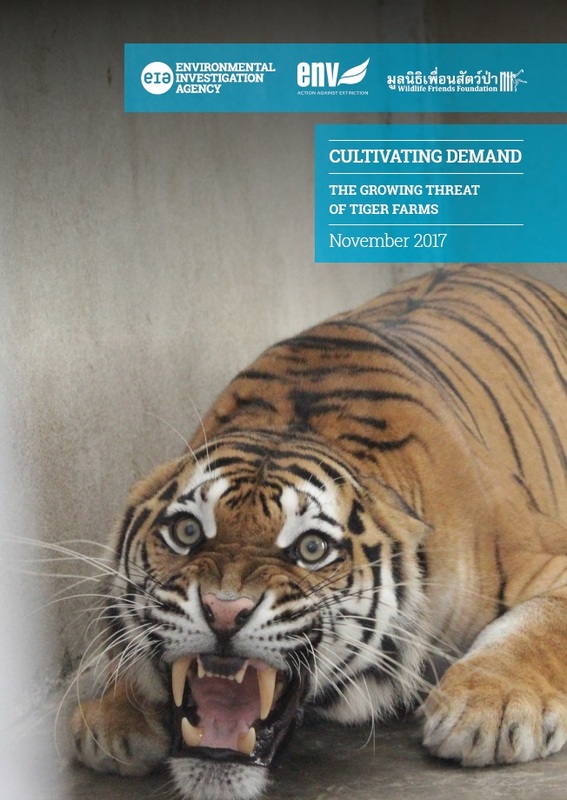 Government policies in China have enabled and encouraged the breeding of tigers in captivity for commercial purposes and our investigations have uncovered a legal domestic trade in the parts and products from captive-bred tigers. South African legislation allows for the commercial breeding of tigers and domestic and international trade in captive-bred tigers. In Laos, government support for tiger farming has led to a flourishing trade in tigers to Vietnam and China and trade in tiger parts to Chinese consumers in Laos. 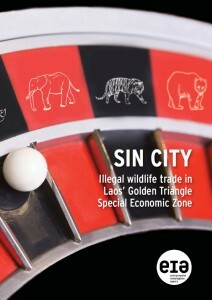 In Thailand and Vietnam facilities masquerading as zoos are taking advantage of weak enforcement to engage in illegal trade. Conversely, India, home to over half of the world’s remaining wild tigers, does not allow commercial breeding of tigers or any commercial trade in their parts and products. 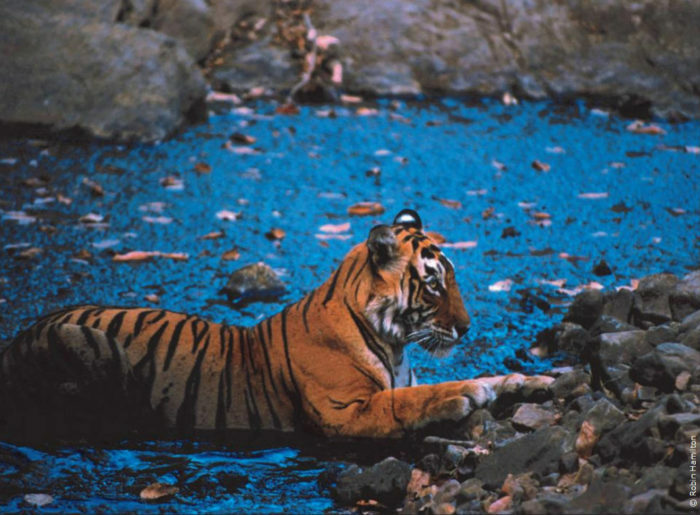 The relative success of India’s tiger conservation efforts can be attributed in part to the enforcement of these policies, but also to a long history of placing a higher value on live tigers in the wild – a value enshrined in ancient cultural connections across the country, and intertwined with the security of forests and water. 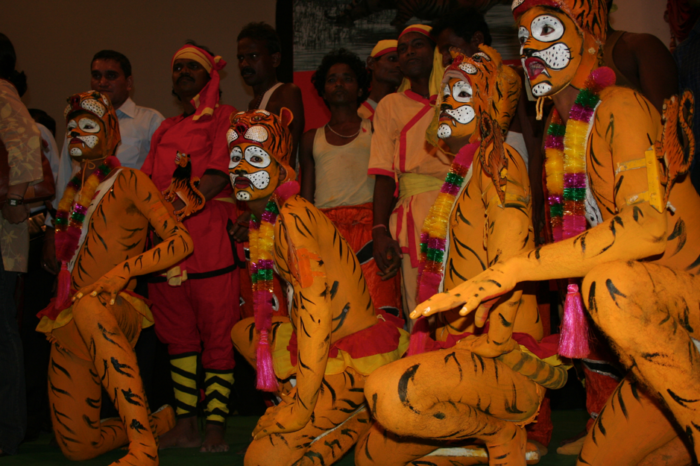 “Bagh Nritya” the tiger dance of Odisha. Young performers body painted as tigers, dance to honour Goddess Durga. 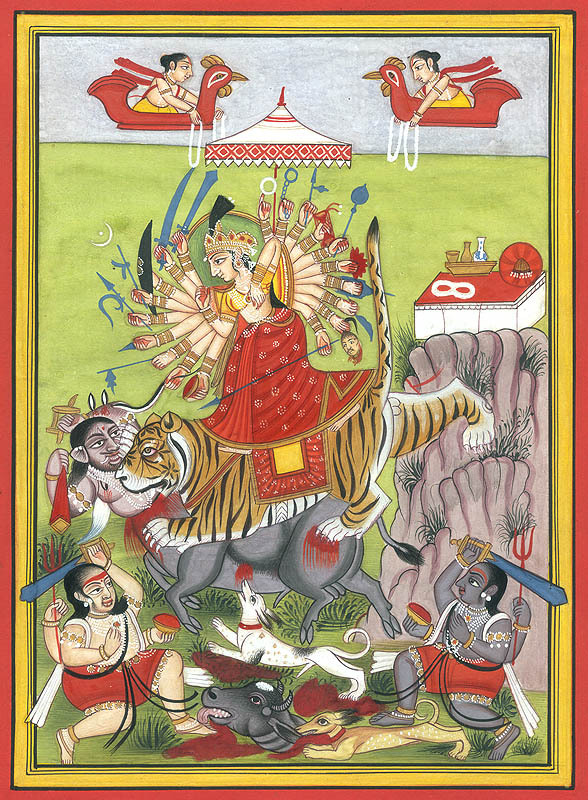 “Tiger pattedar pani ka devta hai” – the tiger is a striped water god! India’s Sanctuary magazine’s rallying cry. The tiger’s forests provide water for millions of people and mitigate climate change. We are campaigning for the closure of commercial tiger breeding facilities and a zero-tolerance approach to all trade and demand for tiger parts and derivatives from all sources. 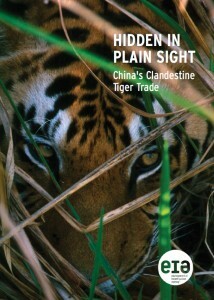 The future of the wild tiger will depend on the governments of all tiger range states and countries implicated in tiger trade adopting policies that place value on tigers in the wild, instead of viewing them as commodities to be traded for profit. We would like to thank Education for Nature Vietnam and Wildlife Friends Foundation Thailand (WFFT) for information provided on facilities in Vietnam and Thailand. Some of this information has been gathered under the auspices of our partnership funded by the UK Government through the Illegal Wildlife Trade Challenge Fund. We would also like to thank EMS and Ban Animal Trading for information provided on facilities in South Africa and to World Animal Protection and For Tigers for additional sites in Asia. During the course of the past 20 years, our Tiger Campaign investigators have been at the frontline of investigating and documenting trade in tigers and other Asian big cats. 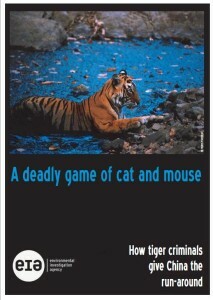 That includes investigating the organised criminal networks operating between India, Nepal and China in partnership with the Wildlife Protection Society of India, as well as the trade in ‘farmed’ tigers in China. Research and analysis of seizures over time reveals a cyclical trade pattern; a critical reminder to decision-makers to continue to invest not only in intelligence-led law enforcement to disrupt persistent networks and offenders, but to invest much more in demand reduction campaigns. Well-established trafficking routes that are decades old are still being used to move wild tiger parts across borders between India-Nepal-China India-Myanmar-China-Laos and Laos-Vietnam-China. You can get a glimpse into where tiger trade is happening from the maps here.